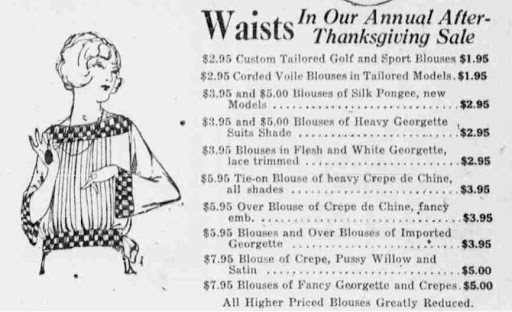 Yes, the after-Thanksgiving sale dates to at least 1921! 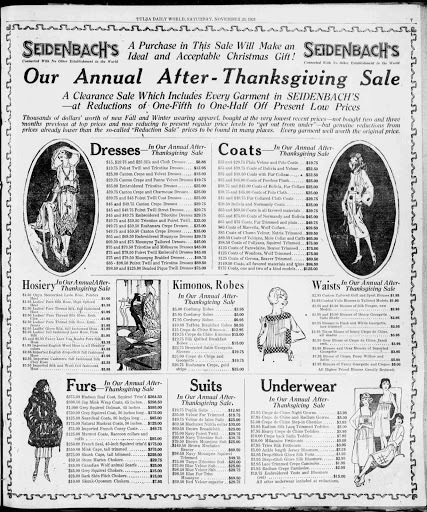 "A Purchase in This Sale Will Make an Ideal and Acceptable Christmas Gift!…Connected With No Other Establishment in the World"
That looks like a really neat store, but I think the ad copy leaves a little to be desired… Looks like Seidenbach's closed in 1963. Good story at Tulsa World.